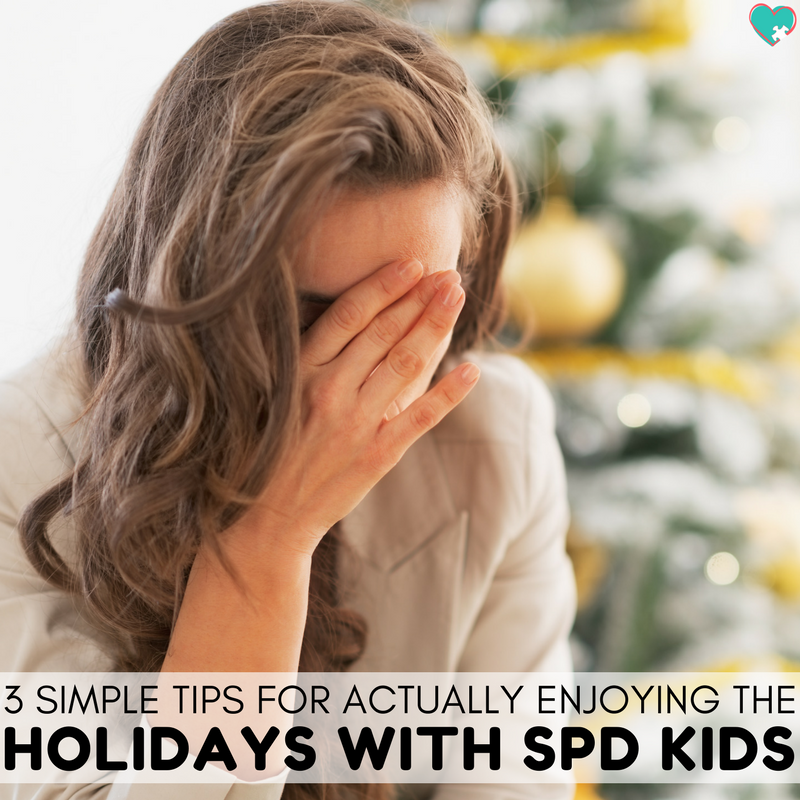 Holidays can be a stressful time in general, but particularly for children with sensory processing disorder. All of the hyped up energy and excitement is multiplied by ten for them, and it can be really difficult to handle. I have seen how the holidays can overwhelm Mr. C without any sort of sensory challenges or autism, but for a child with sensory processing disorder the sights, sounds, smells, and large crowds can send them into a stage four meltdown before you can say “Merry Christmas”. But we want to make sure that our children are enjoying their holidays, despite their challenges. 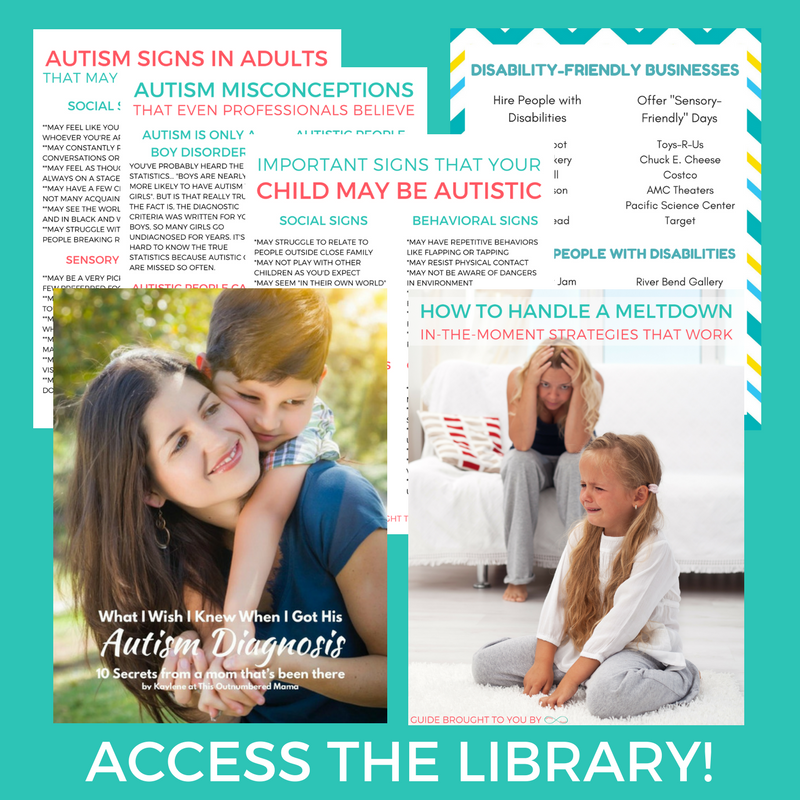 It would be easy to hide away at home, avoid the holiday chaos, and come back to real life after New Years, but that really isn’t fair to you, your neurotypical children, or your disabled kiddos. We need to celebrate our holidays, but we can do them in our own way! If you have a child with sensory processing disorder or other disabilities, I’m sure that you know that routine is essential. 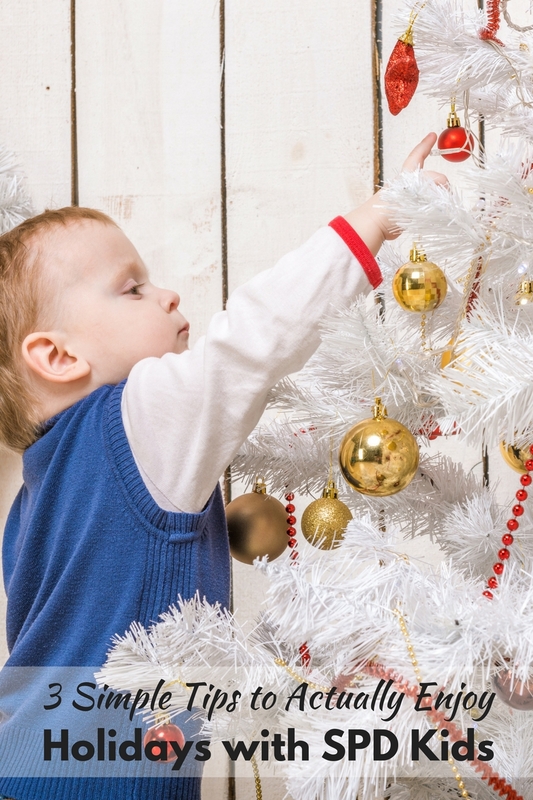 During the holidays, a lot of routines are thrown out the window. You have dinner at 2 pm, you go out to look at Christmas lights when you normally watch your before bed movie, you go to family’s houses when you normally wouldn’t before, and for kids in school, there is no school. That’s a lot of changes at once for a disabled child, so anything you can plan ahead will help. For my son, I know when things will stress him out the most. Before those activities, I spend about a half hour roughhousing with him and throwing him into the couch. *That sounds bad, but it helps to give him the proprioceptive input that he needs. I also try to prepare an escape for him if we are going to be somewhere stressful for a long time. A quiet corner he can relax in, a walk outside with a snack, or simply bringing our carrier so he can get some snuggles. If your child has issues with loud noises, bring him some noise cancelling headphones. If you use PECS take a ton of pictures of family/friends/new places/Christmas activities and make a picture schedule so that your child knows what to expect. In a perfect world, we would all have families that completely understood and respected sensory processing disorder. In reality, a lot of people have no idea what it is, and some believe that it doesn’t exist and your child is simply “picky”. You officially have my permission to be brutally honest with your family. You can tell them when your child can’t handle something. You can decline invitations if you know that it will throw your whole week off course and leave everyone grumpy and frustrated. 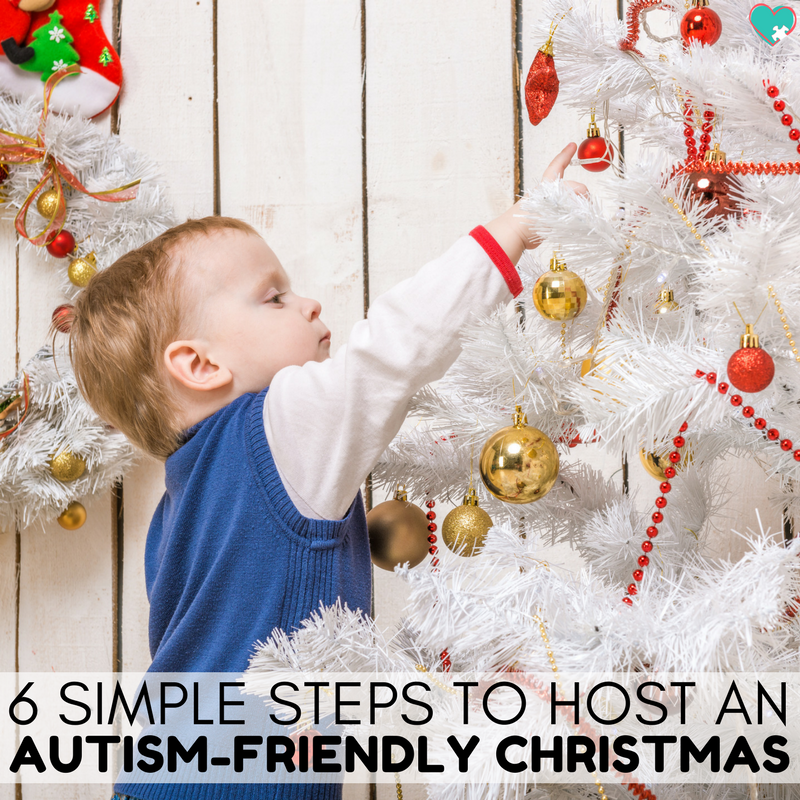 Explain to them that it is perfectly fine if your child does not want to sit with Santa, or they refuse to give hugs and kisses to strangers family they don’t see often. If I had a dollar for every time I said “he is not picky, he has a neurological disorder” I would be one rich lady. Setting these expectations with your family before an event will help your holidays run much smoother. 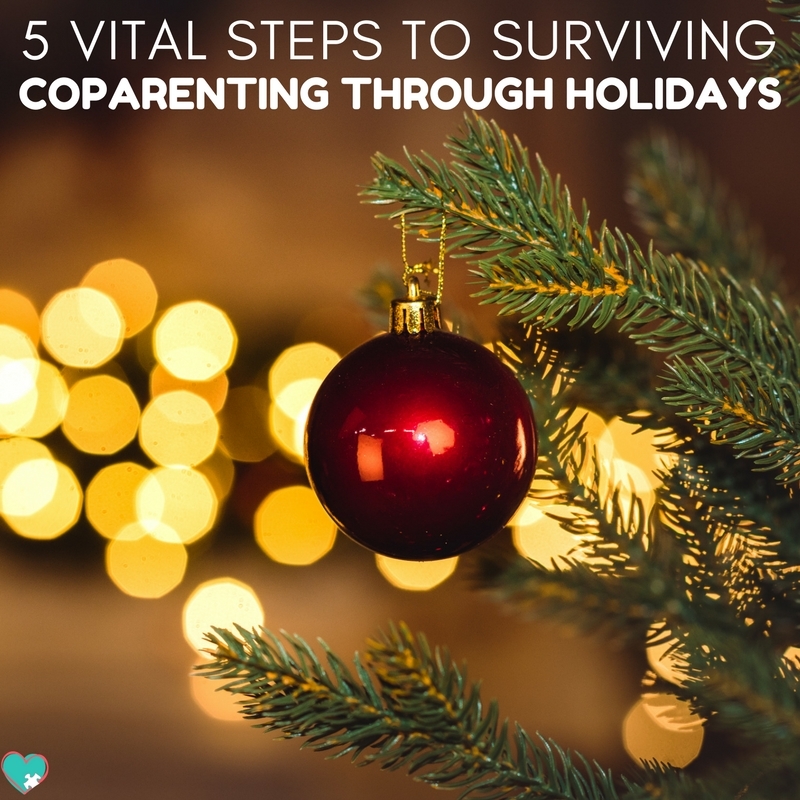 This is probably the biggest strategy I know for surviving holidays with a child with sensory processing disorder. You know your child best. You know if they are sensory seekers or sensory avoiders [or both, like A-Man]. You know that if you put a certain food on their plate they will have a panic attack. You know if they won’t sit with Santa, but would be perfectly happy to give him a high five. Make sure that you know your child’s triggers, and watch for them. Be proactive and try to give them a break before the meltdown begins. With my son, a huge trigger for him is his blood sugar getting low. With his limited diet, he needs to eat nearly constantly to not be starving. We make sure that we keep snacks available for him because once he is hungry, things go downhill very fast. If your child thrives on heavy work, maybe have them deliver gifts from the tree to the person receiving it. Bring a weighted vest or some spio pants to give them some sensory input during the holiday. Bottom line? Know your child and be proactive with them. What excellent tips and points! Your little guy is so lucky to have a sweet mama so very invested and aware of his needs! Kudos to you! Thank you Crystal! It has definitely been a journey, but we’re finding our way! Oh thank you for sharing! It certainly does help to know we aren’t alone. His diagnosis is relatively new, so going into the holidays was a bit intimidating for me. I didn’t find a lot of resources, so I made one! Thanks for stopping by! Thanks so much for this! I have a family member coming with sensory issues, it’s a bit different (misophonia) but very much an issue. Awareness is the best guidance. Oh you’re welcome, and thank you for doing what you can to be prepared for your family member. I know just doing that little bit will help to make their holidays a bit more special! Awareness is definitely important. A lot of people don’t even recognize sensory issues as real. Thank you for stopping by! I love what you wrote up about your family. We did a lot of that this summer to try and get my family to understand sensory but some of them just said I was out of my mind. I also love your comments about preparing ahead of time. That is SO important. Oh Cassie I understand that completely! I heard a lot from different people that my son was just a “bad kid”. Such a weight lifted from my heart when our occupational therapist understood that he isn’t just picky or bad. He can’t help it. I hope you have a wonderful and peaceful holiday! Great information to share! I make Bethany social stories or videos starring her and her siblings and/or all other people involved in her life to prepare her for upcoming events! Thanks for linking up at Faith, Hope, and Love! I appreciate your support!